Rockets are heading towards a Chris Bosh signing as they unload Jeremy Lin’s contract to the Los Angeles Lakers. Jeremy Lin’s Houston Rocket career is over. 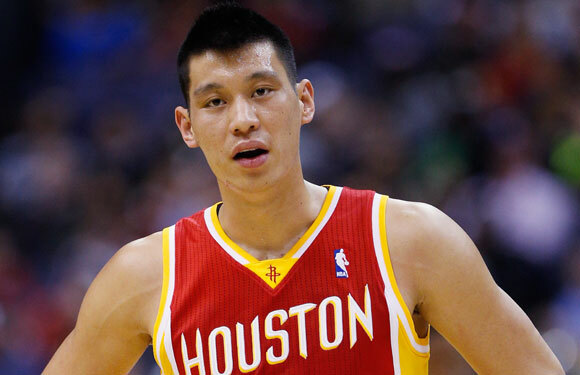 The Rockets unloaded Lin and his $15 million salary for 2014-15 to the Los Angeles Lakers on Friday. To get the Lakers to absorb Lin’s contract, the Rockets sent their first round pick in 2015 plus an additional second round pick (2015 pick from the LA Clippers, only conveyed by LAC if between 51-55) to the Lakers. The Rockets also received the rights to Sergei Lishchuk. It’s clear that Daryl Morey and the Rockets are full steam ahead in their cap room pursuit to sign Chris Bosh and sending out Lin was always a necessary step. The move could be good for Lin, who was born in Los Angeles and grew up in California (Palo Alto). The Lakers, who fell short in free agency this summer, can now try their cap room plan again in 2015. As for the Rockets signing of Lin in 2012, it was ill-fated from nearly the beginning and one of the bigger mistakes of the Daryl Morey era. He never quite meshed with James Harden and moved to the 6th man role last season. The bigger goal is Bosh, who the Rockets hope to sign this weekend before having to match Chandler Parsons’ offer sheet from Dallas. The Rockets still need to execute the Omer Asik trade and it’s likely they are looking into moving Donatas Motiejunas and/or Terrence Jones as well.